Bill Rohde and his wife Cindy were on their honeymoon in 1986 in the San Juan Islands between Washington and British Columbia. Near Rosario Bill spotted a line of CD 252's on an unusual iron crossarm. 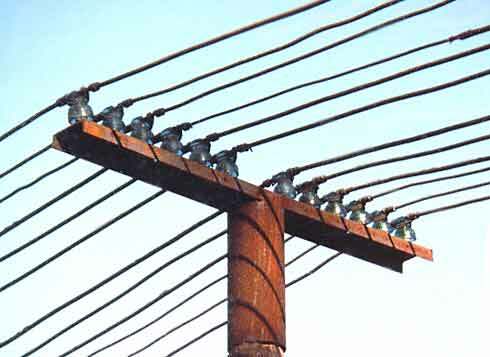 One photo (see above) shows the heavy iron crossarm mounted to the top of a pole. 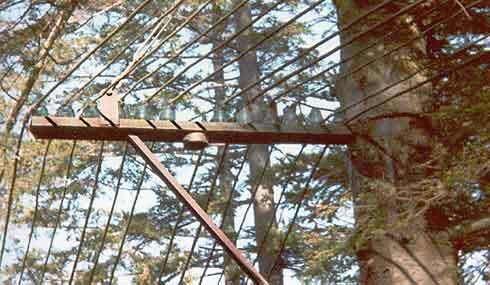 The other photo (see below) shows the iron crossarm mounted to a pine tree. Bill remembers seeing a report in CJ a couple of years ago about the dismantling of the line.